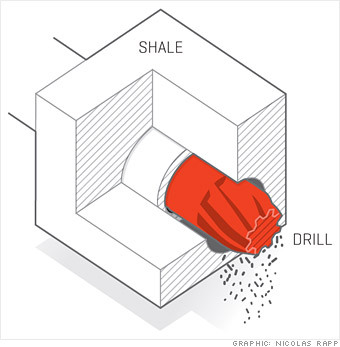 After decades of experimentation, drillers have mastered hydraulic-fracturing techniques. 1. Once the target depth is reached, the drill goes horizontal. Steel piping surrounded by cement forms the well. Deep-sea drilling and fracking are helping to unearth abundant supplies of oil and gas. The coming energy renaissance could be just the elixir the U.S. economy needs.